Discover the unique wilderness of the Hossa National Park with the help of a local certified guide during this exciting guided snowshoeing week in Finland! 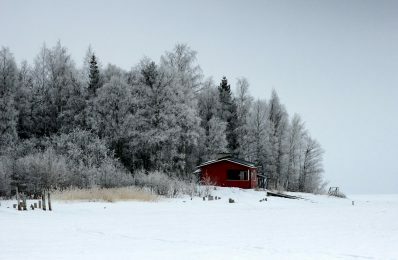 Marvel at the beautiful and magical winter landscapes of Hossa national park. Spend 6 unforgettable nights in wilderness huts. Explore the 'taiga' forests of eastern Finland. 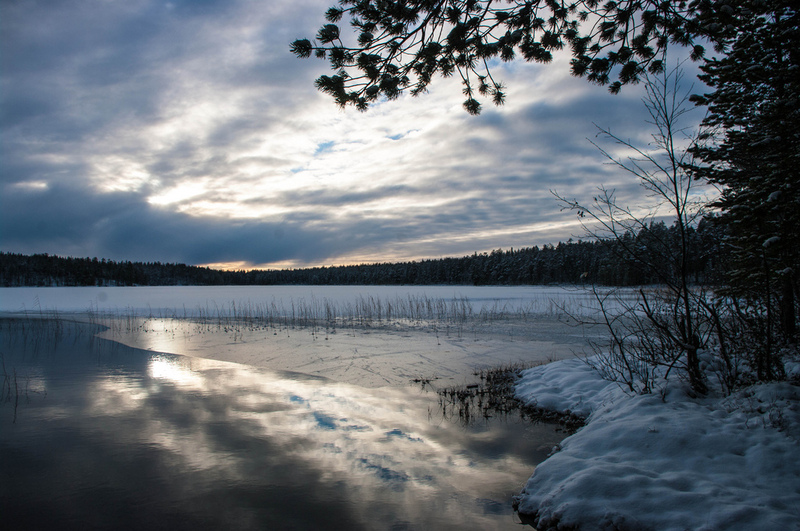 We invite you to discover the remote and silent wilderness of eastern Finland. Follow us on this guided snowshoeing week in the Hossa National Park and discover this magical winter wonderland. Located in the province of Oulu, the Hossa National Park was established in 2017 as the 40th national park in the country. Home to bears, reindeers and woodpeckers, Hossa’s pristine wilderness and remoteness offers the ideal opportunity for those who are looking to escape from the bustle of daily life. On this snowshoeing adventure, you will get to explore the ‘taiga’ forests, walk along ridges and over frozen lakes. Also, you’ll have the opportunity to take a glance at the history of this region and discover its historic rock paintings. During this program, we’ll walk approximately 6 hours every day in deep snow in varied terrain and with many short up- and down hills. Moreover, bear in mind that no previous snowshoeing experience is required but a good physical condition is necessary. The unique wilderness of the Hossa National Park will be an excellent destination for this guided snowshoeing week. 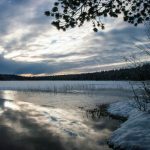 So, if you are ready to join us on this unique opportunity send your request and follow us on this snowshoeing tour in Finland! Arrival at Kuusamo airport where you will meet your local guide. From there, we’ll move to the heart of Hossa National Park. After learning some essential snowshoeing techniques, we’ll set off to explore the Russian border area and we’ll return back to our cabin in the afternoon. Snowshoeing 7 km, 6 hours. We’ll transfer by car and then snowshoe all the way to the Colour Rock to see its historic rock paintings. We’ll go to the Iso-Valkeinen lake where we’ll walk along frozen lakes and snow covered forests and we may even find some reindeers along the way. We’ll walk along ridges, lakes and its surrounding forests that are home to many beautiful animals like elks, wolves, lynxes and hares. At lunch, we’ll enjoy a delicious picnic around an open fire and in the afternoon we’ll arrive to our last cabin. This will be the last day of our snowshoeing adventure. By following ridges, we’ll arrive to our starting point where we’ll spend our last night in a cabin. Breakfast and transfer to Kuusamo airport.